Location. 38° 54.45′ N, 77° 2.113′ W. Marker is in Dupont Circle, District of Columbia, in Washington. 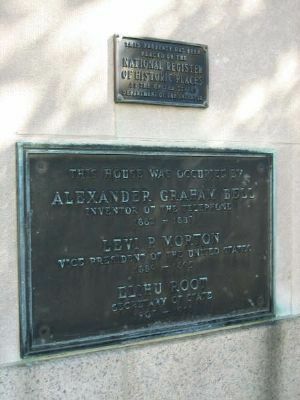 Marker is at the intersection of Rhode Island Avenue, NW and Corregidor Street, NW, on the right when traveling east on Rhode Island Avenue, NW. Touch for map. 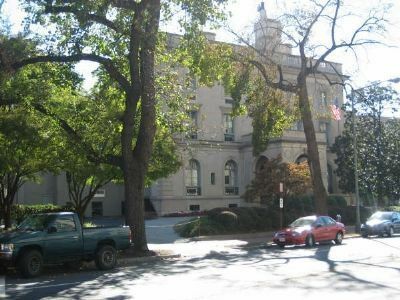 The Brodhead-Bell-Morton Mansion is presently used by the National Paint and Coatings Association. 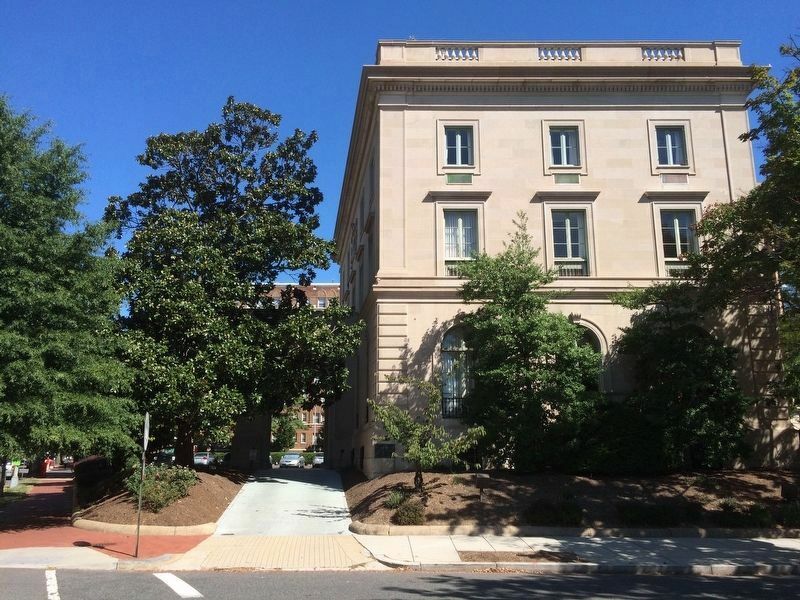 Marker is at or near this postal address: 1500 Rhode Island Avenue, NW, Washington DC 20005, United States of America. Touch for directions. The markers are on the northwest corner of the building, seen here in a view roughly towards the east along Rhode Island Avenue, NW. (about 600 feet away); Embassy of the Republic of the Philippines (about 600 feet away); Metropolitan African Methodist Episcopal (A.M.E.) Church (about 700 feet away); Metropolitan AME Church (about 700 feet away). Touch for a list and map of all markers in Dupont Circle. More. Search the internet for This House was Occupied by Alexander Graham Bell. Credits. This page was last revised on March 4, 2017. This page originally submitted on December 9, 2007, by Craig Swain of Leesburg, Virginia. This page has been viewed 2,243 times since then and 14 times this year. Last updated on September 9, 2012, by Richard E. Miller of Oxon Hill, Maryland. Photos: 1. submitted on December 9, 2007, by Craig Swain of Leesburg, Virginia. 2. submitted on September 14, 2016, by J. Makali Bruton of Querétaro, Mexico. 3. submitted on December 9, 2007, by Craig Swain of Leesburg, Virginia.